Omnidrive is yet another online storage company offering 1GB of space, but it has the advantage of a superior UI. You can access it via a web interface or through a Windows or Mac client. Calling itself an online storage aggregator, Omnidrive lets you to store, share, and publish video, music, and other types of content in one place (which isn't really that different from any other storage service). Files can be shared publicly via a public URL or privately with select users. There's also a built-in music player. The UI is interactive and works well, which is a plus. You can view files in a thumbnail view so it's similar to working with files on your computer, and there are other drag-and-drop features to upload and share files that might be enough to entice users to sign up. To sign up, you'll need to enter invitation code: web2con. If you want more storage space, AOL's Xdrive offers 5GB. Did you try IBackup, recently rated by none other then PC World as the ‘best all-around service’?. IBackup for Windows performs quick backups and restores of your favorite files and folders. As the application does incremental and compressed backups of critical data, the usage of your network bandwidth is considerably reduced. It is also possible to restore data, which is 10 days old through their ‘Snapshots’ technology. You can also do backups by choosing the ‘Mirror’ option so that the 'absolute path' of the source file is maintained as such. With their browser-based Web-Manager (www.ibackup.com/webmanager.htm) you can create folders, webload files, rename, delete, and share files or folders by creating sharable links and emailing them to friends and partners. The `Private Share’ feature in Web-Manager allows an IBackup user to instantly share data with another IBackup user. Web-Manager also has the capability to display your favorite media files stored in your IBackup account in its Media Gallery. 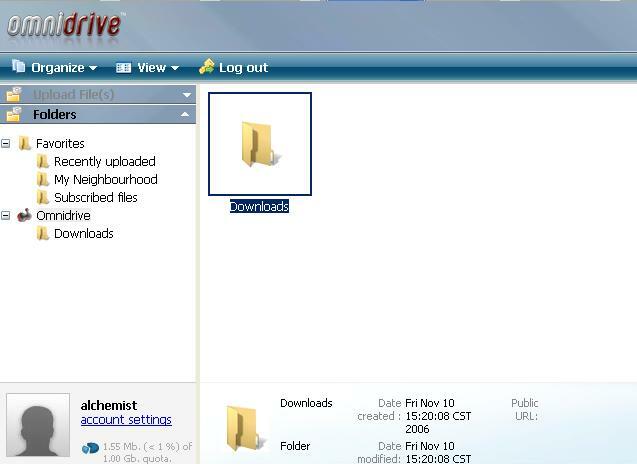 You can also use the IDrive (/www.ibackup.com/IBDrive_new.htm) application, which when downloaded and installed will map an IBackup account as a network drive on your computer. Users can map, drag and drop files to their IBackup account from the Windows explorer. It also allows users to open and save files stored in their IBackup online backup/storage accounts directly from their associated applications like Microsoft Office. You can also try IBackup Professional, which provides a secure, efficient, reliable, cost-effective and easy-to-use Internet-based backup solution. The files and folders you backup are encrypted with a user-defined key so that the data stored on IBackup Professional servers cannot be decrypted by anybody other than you. The backed up files are stored by default in the encrypted form using AES 256-bit encryption. You can also restore up to 30 prior versions, including the most recent version of the data files. Thanks for the detailed review, David. iBackup does sound like a comparable service with its folder-based UI, but they might want to consider letting users try it out for free, say, by offering 1GB of storage. Otherwise, it's hard to compare its service with its many competitors'. Another similar site is Memopal (www.memopal.com), that offers 5GB free. It is still in beta version but it is fast and simple, full system recovery, automatic back up, search on line files and, and own ftp. Well done and friendly. Sometimes you can still find some bugs.